Can we agree that we hate the five paragraph essay? Every time I confer with a student who says, “Well, I have two body paragraphs, but I need one more”, I shudder. FIVE IS NOT A MAGIC NUMBER has become my mantra. I’m thinking about making a poster to hang in the front of my classroom. A few months ago, Allison and I sat in a meeting in which a teacher bristled at the idea that “teaching the five paragraph essay” might not be the most productive way to substantially improve a student’s writing. In the moment, I wondered, “Why is he so upset?” When I thought about it, I knew why — he wanted a formula into which he could fit his students’ writing. A formula that he felt guaranteed success — or at least sufficiency. It’s the same reason our students love the five paragraph essay and glom on to any template we offer them. They want a formula into which they can fit their writing with the guarantee that they will be successful — or at least sufficient. Unfortunately, this creates writing automatons not writers. But this is the exact problem with formulas and templates, right? In offering the easy way out, we are not actually moving writers toward growth and discovery. We are teaching them how to fill in elaborate blanks, not teaching them how to truly write. Sometimes, in spite of our best intentions, even after we have eschewed the five-paragraph essay, our use of mentor texts becomes one more formula in writing workshop. When writing an editorial, we give our student one editorial. A brilliant one, mind you. The perfect editorial. We ask them to mark the structures, identify key features, note the tone. Now, go and do, we say. And we do teach mini-lessons. And we do confer on those editorials. And we organize students to work in writing groups to give and solicit feedback. But, ultimately, we have offered one more template, one more formula. If we have done our job well, we will go home with a class set of editorials that have the exact same structure, the exact same tone. More than likely, we will go home with a class set of editorials that have very similar ideas. How do we combat this? What do we do to ensure that our mentor texts don’t become one more fill-in-the-blank writing exercise for our students? One thing Allison has been working on recently is trying to humanize writers by using interviews to guide and inspire students. This takes the focus off of the magical words on the page and reminds all of us that there are people behind these words who have made conscious decisions in the writing that we are reading. After all, we are trying to teach our students to make choices as writers. Real writers. Formulas and one-size-fits-all templates also ignore that real human writers lurk behind each piece. What serves the purpose of one writer doesn’t always work for another; a tone that is authentic to one writer sounds stilted in another. 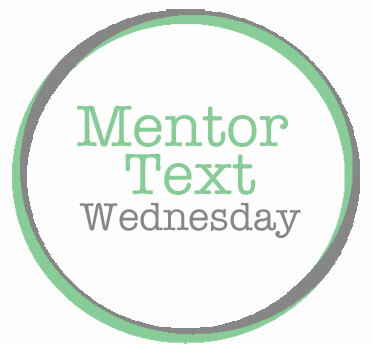 Another way we can bring our focus back to writerly choices through the use of mentor texts is to give our students multiple mentors to illustrate a genre or technique. In the fall, I did a This I Believe workshop with my ninth graders. I selected six mentor texts that showed variety and were relatable to a teenage audience. Once we read through (and listened to) all six, we went back and examined all six for the writer’s choice of topic, the writer’s tone (and shifts in tone), the writer’s structure. Students created charts to track these choices in their writer’s notebooks. Then, since thisIbelieve.org is an easy place to send students to gather their own mentor texts, I asked them to read a few more at home and select another mentor. They shared in small groups and added their insights about topic, tone, and structural choices to their charts. Through this work, students were able to tangibly see that there are myriad right ways to write this kind of paper. With lots of inspiration under their belts, most students were able to jump into their own authentic drafts, often combining elements they admired from several mentor texts. Those who needed additional support could still use a model we had studied, but with at least seven available mentor texts in hand, they still had to make a writerly choice of which model to follow. Mentor texts are a wonderful thing — one of the most powerful tools in our toolbox. But like any good thing, we have to be thoughtful about how we use them. We have to subvert our natural inclinations — and our students’ natural inclinations — to use them as shortcuts and easy, interchangeable models. Emphasizing the authors behind the work and flooding our students with mentors can be a big step toward the development of real writers. Listen, Proactive doesnt work for all skin types.. I use proactive and its works so good for me. But another thing, your skin might have to get use to using something that you never used? Just saying. Yup, that’ll do it. You have my apeipciatron.